"Looking for your wedding dress is one of the most exciting parts of preparing your wedding. However, it can also be stressful, especially when you wish to create your own design. It's almost been a year now since I met Margalit and I couldn't be more grateful. She is a woman with class and a beautiful sense of style. She listened to what I had in mind but she also gave it her creative touch. She designed a dress that made me feel so elegant on my wedding day, just as I wanted. I would definitely recommend her not only for her gorgeous designs but also, for the great person she is. Thank you so much Margalit!" "Being a Flower girl isn't just about honouring the Bride, its about fulfilling each little girl's dream! Margalit's unique creation made my daughters feel like Cinderella. She is truly amazing at what she does." "What's a Henna without the perfect Kaftan dress? 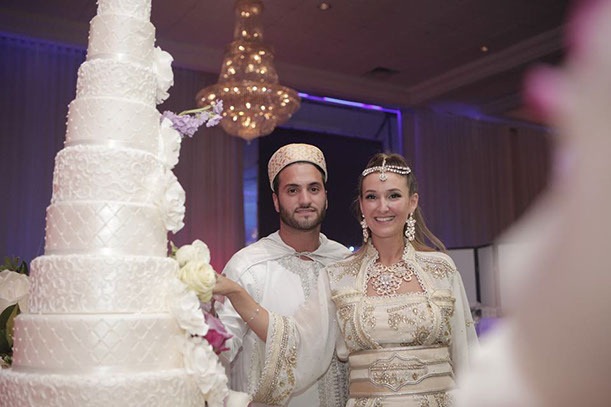 Margalit offers the possibility of designing custom made matching Bride & Groom kaftan for that special day. These designs are available for rent including all hair and jewelry accessories. Our matching designs made us feel like a match made in heaven!" "I will try to keep this review short and sweet but there is so much to say about the beautiful creations this lady produces but even more to say about the beautiful woman behind the creations. I wanted something simple, everyone was pushing me to get something extravagant but Margalit saw my vision and executed it better than I could have ever imagined. Margalit literally goes to the end of the world for her brides (I am serious. Literally the end of the world), to ensure their satisfaction and to ensure that the whole process feels as special as can be from start to finish. I not only had the most amazing dress, but I also gained the most amazing friend. 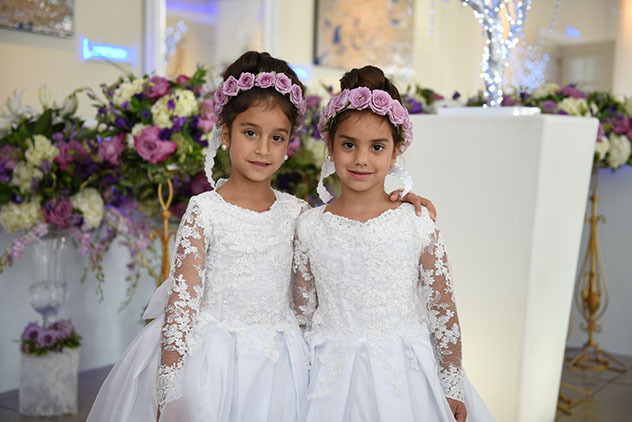 For the most comfortable and professional interactive experience, most beautiful perfectly fitting wedding dress and all the fun that you deserve in the time leading up to your wedding- Margalit is your girl. Forever grateful- Love you Marg, thanks for making my day so special." "No one could understand the stress of a mother on her daughter's wedding day aside for the most talented designer and artist we've met, Margalit. She created our designs for my son's wedding for all my daughters including myself we were so satisfied that the day my daughter got engaged we called her within 24hrs to create our new gowns. 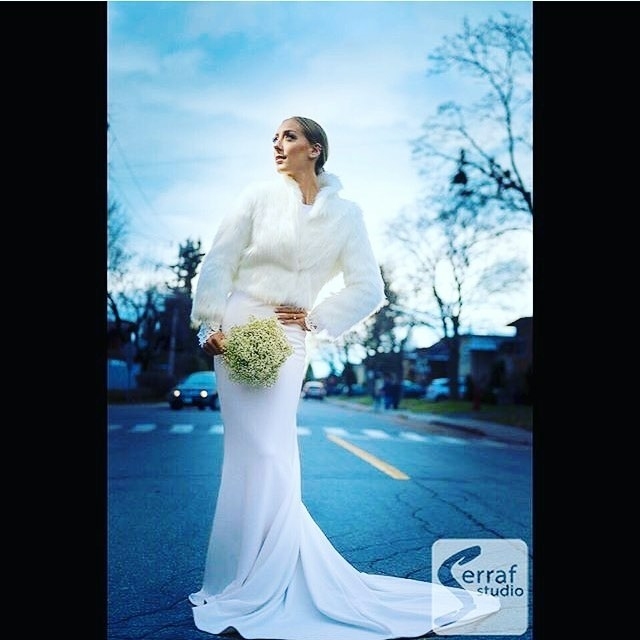 Being located in Toronto we would think long distance custom made gowns can be complicated but she is such a pleasure to work with that we would travel anywhere for her services! Thank you for taking such good care of us." "There are no words to describe the services that Margalit offers, her kindness and patience is beyond expectations. From the minute we walked in we felt such warmth and we were treated with such love that we decided to look no further and move on with our custom designs. 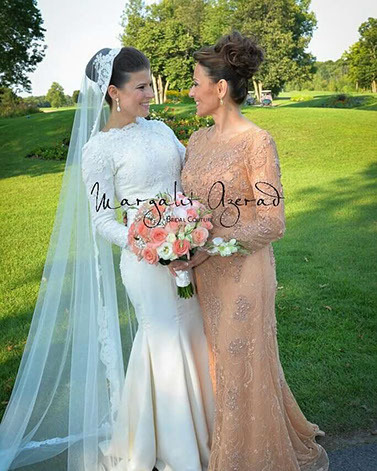 She created our gowns to perfection, Thank you Margalit with much love the Dahan Family!" 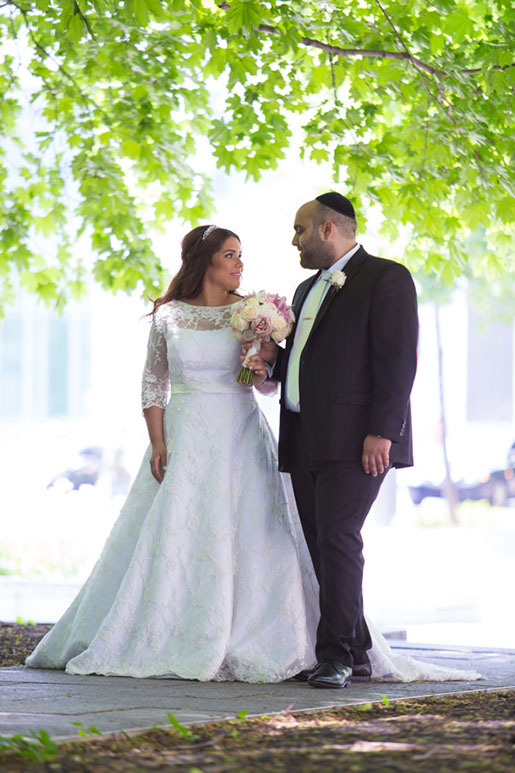 "Margalit is a very creative, talented and professional.. She was able to create my wedding dress just by reading my mind ! I came to her with just an idea in mind and 8 months later I was #oikninedowntheaisle in the most beautiful and elegant dress. She made my entire experience go by stress-free ! From fabric shopping to hours of dress-fits, I not only got my dream dress but a friend along the way. Thank you margalit for everything ❤"
"Margalit fulfilled my daughter's princess dream by creating her Couture gown for her aunt's wedding. Above all, what made our experience so enjoyable was her perfectionism, professionalism, and attention to detail. Margalit is beyond amazing. She is caring and the most beautiful person inside and out. We adored our experience and recommend her to everyone who wants to feel special on that special night! 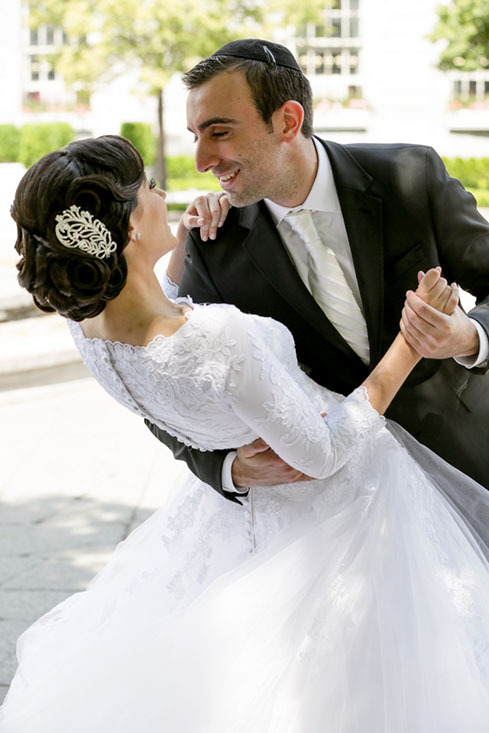 With much love Yael and Maayan"
A week before my wedding I realized that I would need a Bolero for my Huppa! A week, 7days to find a matching bolero. I was scared that I would ruin my dream dress by adding sleeves. I walked into her atelier and that smile on her face simply speaks for itself. She is such a pleasure to work with, she found the PERFECT fabric and created me a fully beaded lace Bolero with hand beaded crystals and pearls within 7 days. She added a long veil for the final touch. 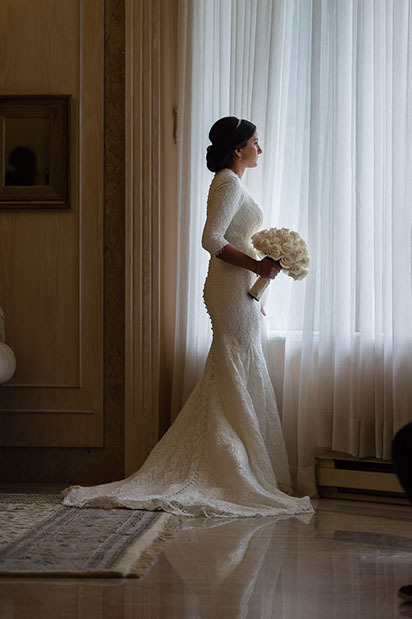 My dress looked completely different and I LOVED MY NEW LOOK." Thank you Margalit. 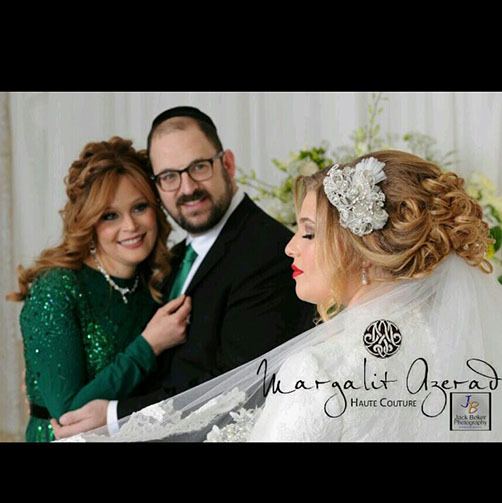 So grateful for this Margalit lady who made my daughters' dream prom dress a reality within the flash of time, she comforted us, aided us, and somehow managed to make this stressful experience, wonderful, trust her in making your dream dress a reality.